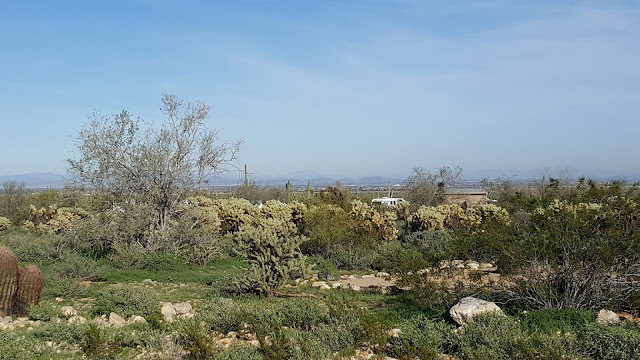 From Organ Pipe Cactus National Monument, we headed back north on Route 85 to Gila Bend and the KOA for an overnight. Still the cleanest laundromat ever! The next day is a shopping stop at Buckeye and then up to Route 10. Heading east to exit 123 and north to White Tanks Mountain County Park. This was an unplanned stop, but we are glad we did. A beautiful campground that a number of campers had recommended in the past. Set up against the mountains west of Phoenix(listed as Waddell), there is a good view of the valley east. Do you see Lady Blue? Only 40 sites, so not easy to find a spot. We were lucky to get the next to last of the day. There are miles of hiking trails and a nature center. The next day we head straight out of the campground to the Route 101 Loop and head north around Phoenix. Right near the Mayo Clinic, on the east side, you will find the Musical Instrument Museum. Jan and I thank Nancy from Quartzsite Lazy Dazers for this suggestion. She had mentioned spending hours and days here and now we know why. The guitar above is from Daytonville, Connecticut, 1852. The first mass producer of guitars in America. This is a 1932 resonator guitar from the Dobro company. Most people know these as simply Dobros. While here, there were about 5 busloads of school students from different schools, as well as a number of other visitors. Plenty of room and the kids were all fully involved in the museum. There are rooms of instruments, drums and others, to be played. 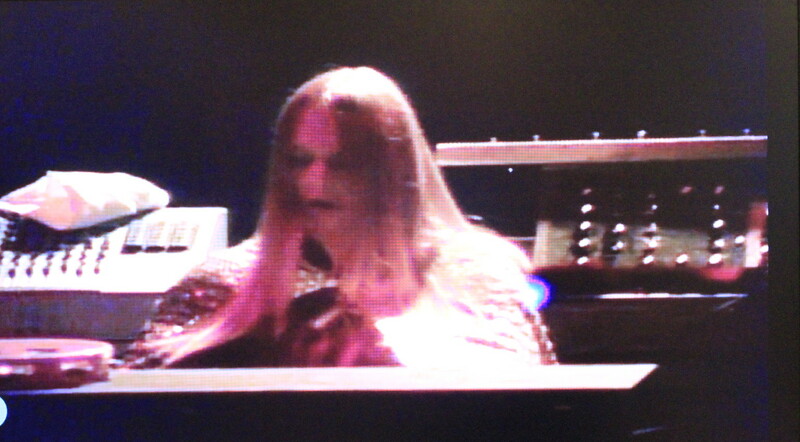 Also a piano or two that can be played by any age or musical level. The historical instruments are clearly for viewing. All kinds of instruments from bass saxophone to the largest string bass. There are whole rooms devoted to different parts of Asia, Middle East, Africa, Latin America, Oceania, Europe, United States/Canada. There is a wonderful room of mechanical music makers from a giant calliope to player pianos and more. There is a large Artist Gallery that allows you to hear excellent recordings of all kinds of artists(here John Lennon and Carlos Santana) as well as videos of their performances. All eras and styles are represented. Even articles that belong to performers. This is a concert outfit made for Roger Daltrey of the Who in 1968 to 1970. A very nice presentation by Martin guitars. A workshop showing tools used in making Martin guitars. There is also a great presentation by Steinway pianos ,showing a complete piano action and a video discussing building and voicing of the keyboards. Also, another one by Zyldjian cymbals, showing stages in the making of their famous cymbals. A leather guitar cover made to resemble one that Elvis Presley had commissioned. D-45 "Dreadnought" guitar, 1972, by Martin. One of the worlds most sought-after steel string guitars. This link will give you a lot more information about this museum. Note the concerts. Also, this is one of the top rated museums in the United States. 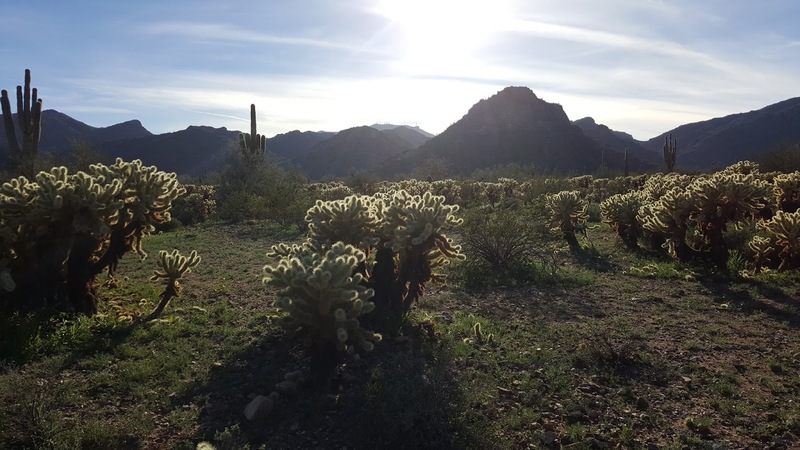 Sometimes, traveling Arizona is not as simple as you would expect. When you look at a map, you would expect more roads going from here to there. But, when you drive, you realize there might be some very challenging mountains in the way or, perhaps 80 miles or more with nothing but desert. From the museum, we head east of the 101 Loop to Shea Boulevard. 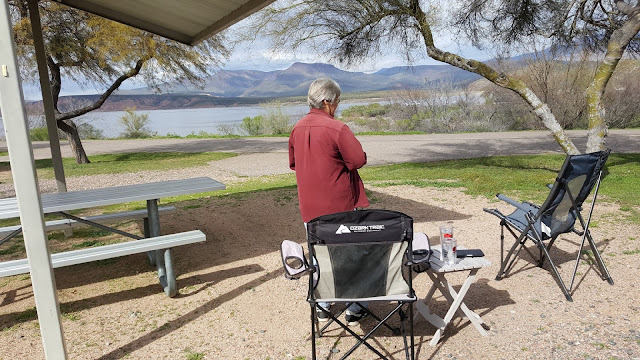 And then we hop on Route 87 north to Jakes Corner and then Route 188 south to Roosevelt Lake and Windy Hill Campground in the Tonto National Forest. The views are spectacular. The cost is $8.00 per night on the Senior Pass. This is a small part of the lake---it is 22 miles long and the largest lake totally inside Arizona. Not many campers here, so we just pick the best site available. This is one of our favorite campgrounds. Weather in Arizona can change quickly. More surprising after you get used to the typical warm, dry, sunny Arizona days. This storm came up suddenly with quite gusty winds, thunder, and rain. But then , we were rewarded with this bright rainbow. Also surprising, it lasted for almost an hour. Soon, we have to leave again and start heading west. But, heading west from Lake Roosevelt is not possible. We head north again on Route 188 to Route 87 south. Shea Boulevard west to Frank Loyd Wright Boulevard to Loop 101, north on Scottsdale Road to Route 74. 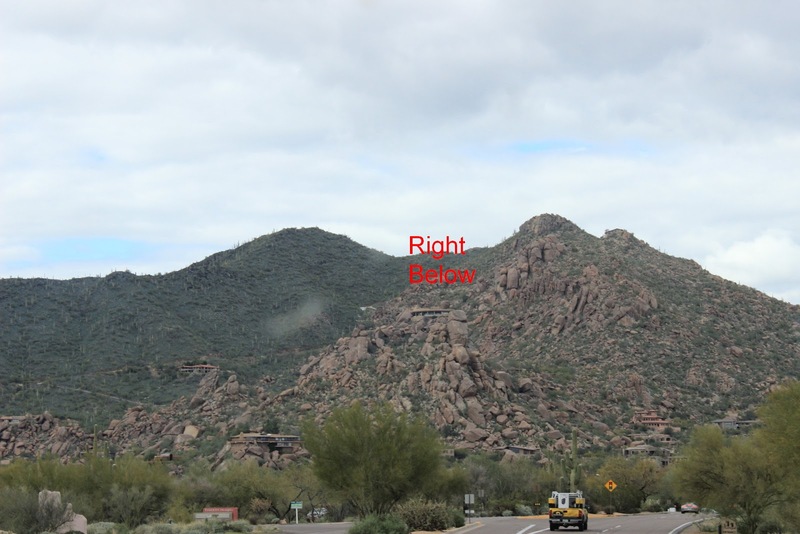 West to Route 60 and Wickenburg. Then Route 93 to 89 to Congress and the North Ranch Escapee Park. To show you why, the above picture is heading north from Lake Roosevelt( in picture on right). Note the 4500 foot mountains on the left. No main roads through. Of course, there was the possibility of going north through Payson and on to Sedona and then south. A pretty ride, but a bit longer. A view of the housing in Scottsdale/Fountain Hills approaching Shea Boulevard. Houses do blend into the landscape. Approaching Route 74. Note the houses on the hillside. There are at least 12 houses on the hillside. Do you see the one below "right below"? Heading north from Congress, Route 71 to Route 93. This road is about 80 miles long with only a few houses, mostly desert. A few Joshua Trees along the way. As the elevation increases, the sights are more interesting. Driving becomes more interesting too. Route 93 brings us to Route 40 west. We follow Route 40 to Route 68 in Kingman, heading towards Bullhead City and Laughlin. And right away , the signs to Lake Mead Recreation Area, Right here will be Katherines Landing, one of our favorite campgrounds. This is a picture of part of the marina just below our campground. 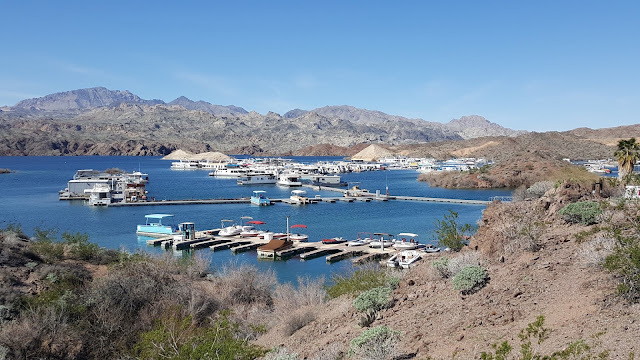 Situated in a cove and part of Lake Mohave, this is the southern section of the Lake Mead Recreation Area. This section was created by the Davis Dam in 1951. North of here is the Boulder(Hoover) Dam which created Lake Mead. This is the largest capacity reservoir in the United States, sending water to nearly 20 million people plus farmland Just imagine, not too far left of this picture is the Davis Dam about 500 foot elevation. The lake heads north ( to the right) to Hoover Dam-a bit east of Las Vegas, and then Lake Mead. Go north and west about 112 miles-depending on water level-that is how long Lake Mead is. 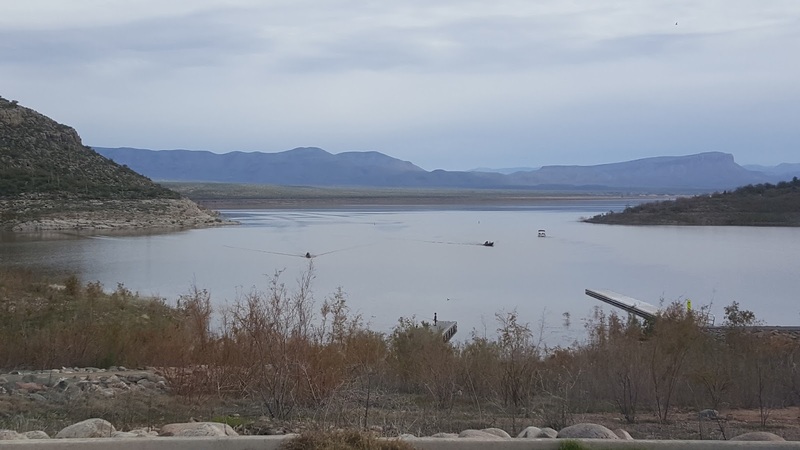 Continue along the Colorado River a little more east and north and you are at over 7,000 feet of elevation and in the Grand Canyon National Park. This website holds a lot of information about the Lake .